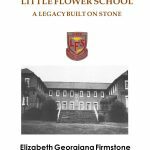 LITTLE FLOWER SCHOOL: A legacy built on stone This book is about the remarkable legacy of a school in the rural village of Ixopo, KwaZulu-Natal. In 1923, the Sisters of the Precious Blood erected an iron shanty mission school that housed eight pupils at “La Trappe”, growing to become state-aided in 1929. The name, “Little Flower School”, was in honour of St Theresa of Lisieux, Patroness of the Missions, who also inspired the motto, “Sola Nobilitas Virtus”, meaning, “Virtue alone is true nobility”. Although designated by the Apartheid laws for Coloured children only, LFS never turned a child away. The overarching ethic was always that poverty and privation would not be barriers to education and self-determination for any pupil. 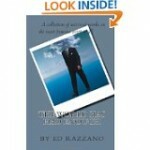 “What LFS taught us became our inalienable support for life. We were taught how to learn, read and do, and stepped out with confidence and humility. Education is the precious gift no one can take from us”. Compiled from the contributions of varied learners, this legacy publication documents the selfless work of the Catholic nuns, priests and educators who achieved so much with so little. It also reflects, through personal anecdotes, the life-journeys and accomplishments of past pupils and how they developed the self-sufficiency and discipline to reach for their dreams and pay it forward. It further seeks to inspire today’s high school learners to choose teaching as a career despite what they are experiencing. 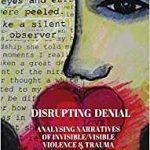 DISRUPTING DENIAL: ANALYSING NARRATIVES OF VISIBLE/INVISIBLE VIOLENCE This book combines practitioner scholarship with the voices of 42 contributors from various walks of life, depicting different experiences with a common thread, to co-produce knowledge about the impact of oppression(s) over time. 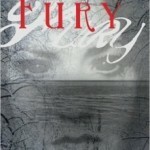 It is a powerful read that flattens the artificial boundaries between lay and academic knowledge by putting an analytical tool – the structure of invisible/visible violence – in the hands of any person who is interested to understand the invisible mechanisms that produce high levels of visible violence, trauma and denial in society. More than two decades of practice and action research with participants from South Africa, and other countries on the continents of Africa, Asia, Latin America and Northern Europe form the foundation of Disrupting Denial. 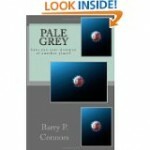 This book provides the reader with an adaptable framework within which to analyse, understand, and act on invisible/visible violence, trauma and denial in society. 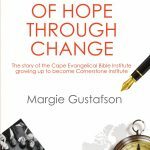 JOURNEY OF HOPE THROUGH CHANGE The story of Cornerstone Institute is one of courage, resistance and resilience. It is a story of men and women who through obedience to God, and many times great sacrifice, were able to glorify God through the influence they had on students who would go on to be difference makers, not only in South Africa, and the continent of Africa, but indeed throughout the world. But above all it is a story of hope – the belief that no matter our circumstances, or the context of the world around us, things can and will get better (Prof. John Volmink, Cornerstone Institute Board Member). 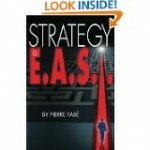 Strategy is E.A.S.I by Pierre Fabe, a strategy book that helps demystify the implementing of strategy in achieving goals whether personal or business. In this non-fiction book, Pierre Fabe shoots straight from the hip by deconstructing strategy in a no-nonsense fashion. He puts it all back together again in a lucid fashion thus offering readers the opportunity to finally come to terms with what strategy is and isn’t. If you are looking for answers on exactly what strategy is and how to implement strategy, then this book is for you. The real villains have threatened all cultures and we have been fortunate to survive these and in fact during a brief period in history (in keeping with the spirit of Perestroika) some projects even involved collaborative work between Western and Soviet agents against the common enemy with mutual respect and only the subtlest reminders of NATO superiority such as that 3 Mile Island was never a patch on Chernobyl and that many evening meals in the west easily surpass a moldy boiled potato and half a mug of vodka. future about a man with nothing left to lose, in a world on the edge of madness. 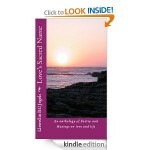 Love seeks to transform us and in its presence we truly become fully human fully alive. “The music of love is a tapestry, intricately woven…” Yet love can also leave our lives and we have to search for answers. 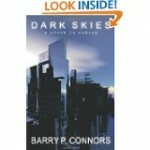 This anthology is about the quest for some of those answers. Part I consists of romantic poetry and Part II of the poet’s musings on life. The pick 6 is the holy grail of exotic betting. 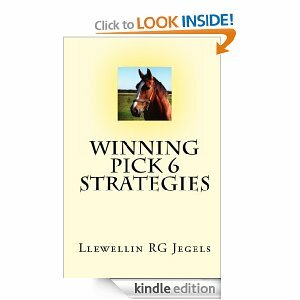 This book explores various low-cost, mathematically sound, high probability strategies. 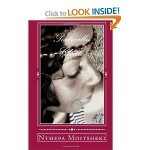 Nthepa’s debut anthology is a mirror of the township in the modern day and reflects the life that continues to carry history with it. It is a walk through the dusty streets of the township, breaking through the doors that separate the township man from the outside world. In the twenty first century where we are all to be equally benefiting from the fruits of democracy, the township folks still lag behind. 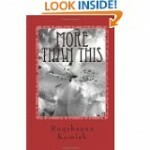 “More than this” an anthology of poetry by Ruqshaana Kamish. 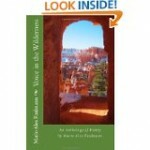 Voice in the Wilderness by Mario Alex Faulmann, an anthology of poetry chronicling one man’s journey through life. 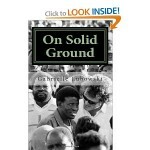 On Solid Ground by Gabrielle Lubowski, the true story of a brave woman’s journey to wholeness after losing her iconic husband.